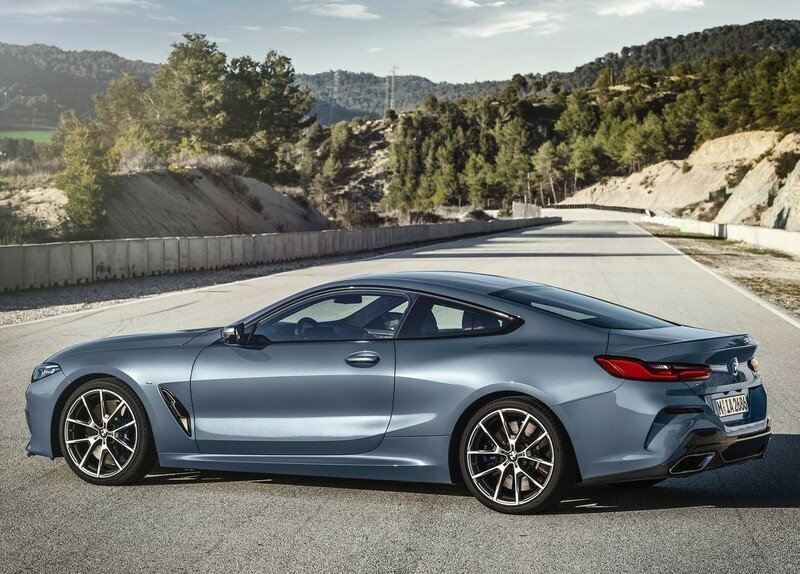 We have the price for the all-new BMW 8 Series, which is due to make landfall in South Africa around March 2019. Check how much this gorgeous coupe will cost. 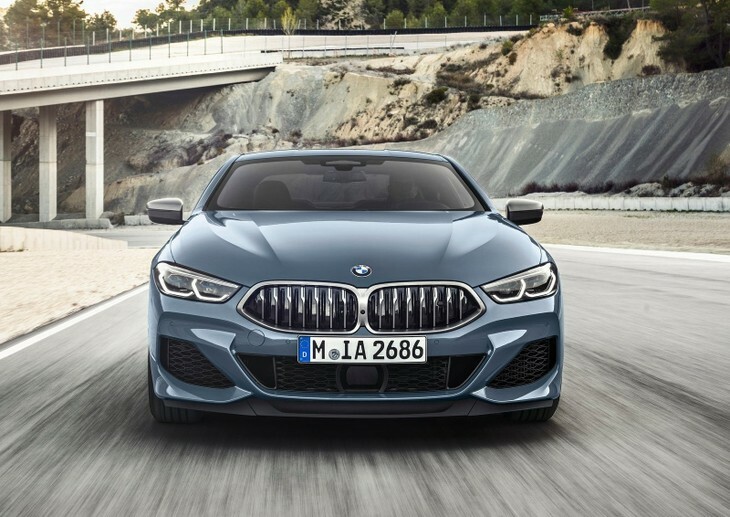 BMW has officially taken the covers off its new 8 Series; after an all-too-brief appearance in the South African market in 1991, BMW's first class coupe will return to the local market in March 2019. As ever, its looks are head-turning – it's overtly sportier than the Mercedes-Benz S-Class Coupe. The BMW 8 Series has finally been revealed in production form. Focused on performance, luxury and state-of-the-art technology, The G15-generation 8 Series will be manufactured at BMW's Dingolfing factory, which also assembles the 7 Series. 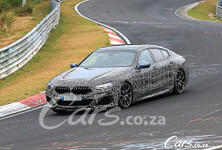 BMW SA has confirmed that we'll be getting the new 8 Series in 850i xDrive specification. 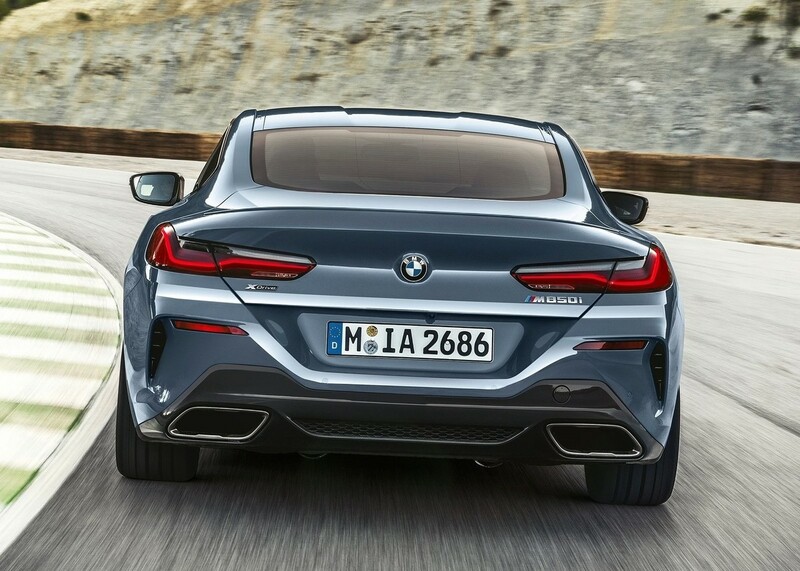 As these images demonstrate, the new 8 Series is low-slung and looks both exotic and muscular, yet the newcomer has an elongated sinuousness to it. It's not a small car either, with measuring 4 843 mm in length, 1 902 mm in width, 1 341 mm in height and a wheelbase of 2 822 mm. Because its '80s precursor was heavily criticised for being grand but not particularly entertaining to drive, this BMW would be judged a failure if it didn't offer engaging driving dynamics. Overseas, there's a diesel 840d xDrive, which is a 3.0-litre 6-cylinder turbodiesel pushing out 235 kW and 680 Nm. It'll do 0-100 kph in a claimed 4.9 seconds, but despite its performance ambitions, it'll consume around 6.0 L/100 km. 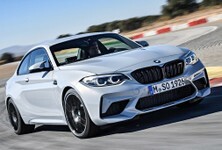 However, the headline engine features in the M850i xDrive, which is destined for our market. 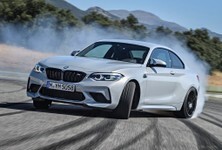 It is a new 4.4-litre twin-turbocharged V8 motor that produces 390 kW and 750 Nm, which is said to propel the big coupe from standstill to 100 kph in a claimed 3.7 seconds. It is claimed to consumed an average of 10.0 L of petrol per 100 km. In both derivatives, power goes to all four wheels via BMW's xDrive all-wheel-drive system. 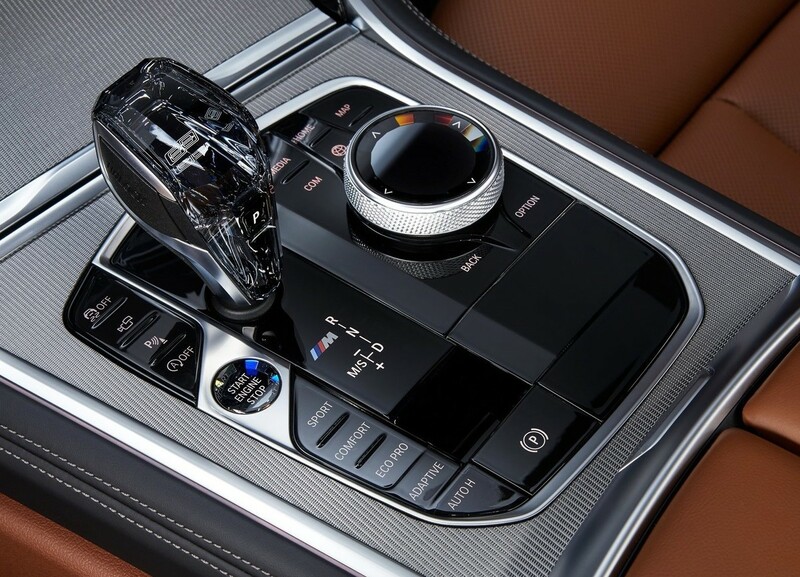 The transmission is a new version of the 8-speed Steptronic and features shift paddles on the steering wheel. In the SA-bound 850i xDrive, the 8 Series features a rear-wheel drive bias, a performance-tuned rear differential lock and a launch control system. The 8 Series cabin does not look dramatically different to those of contemporary large BMWs, but the luxury details are exquisite. 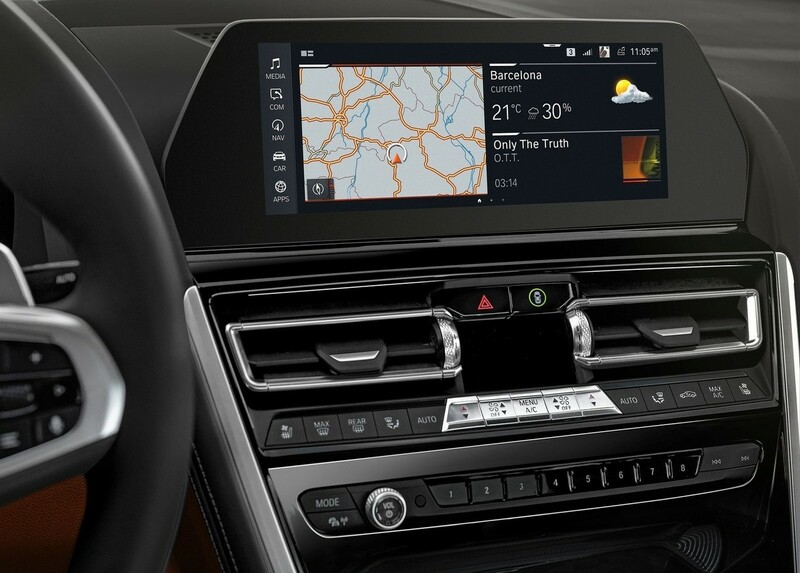 In terms of technology, BMW's Laserlight headlights are available as an option, there's a new iDrive system and some of the new noteworthy features range from wireless charging, smart key like the one we've experienced in the 7-Series, heads-up display and an 11-speaker sound system (upgradeable to 16 speakers). 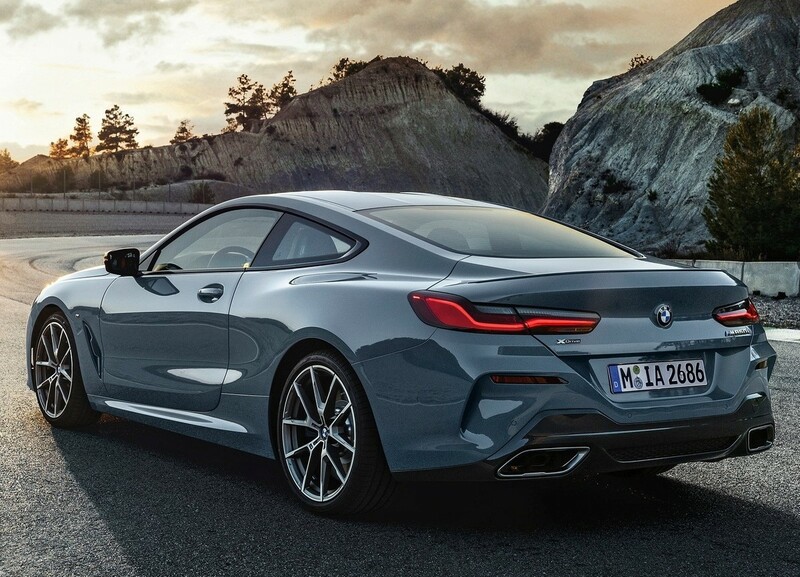 Being a flagship offering, the BMW 8 Series has an opulent cabin execution: slick new-look instrumentation has debuted. The front sports seats are all-new and feature, inter alia, heating and cooling functions. 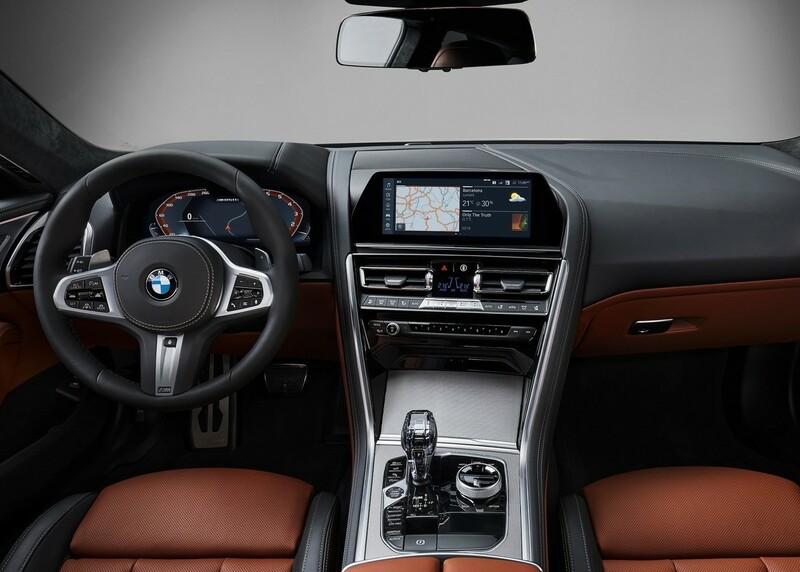 What's more, BMW has fitted the 8 Series with an array of driver assistance systems, including Personal Co-Pilot, which BMW claims, "relieves the strain on the driver in monotonous situations, such as traffic jams or slow-moving traffic. They additionally enhance comfort and safety both in urban traffic and on longer trips by providing targeted assistance in complex traffic situations." 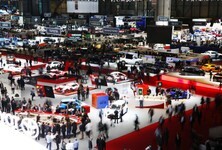 Essentially, the car will be watching for hazards when a driver's concentration is not at its highest. The new 850i xDrive features cruise control with braking functionality, as well as collision and pedestrian warning with city braking. Active Cruise Control with Stop&Go and Lane Keeping Assist and more safety features can be optionally specified. 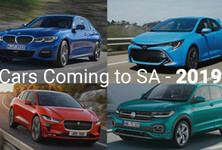 We'll have more details about SA specification closer to the launch in March 2019. 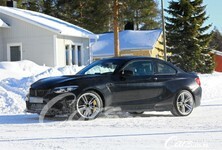 As it stands, it looks likely there will be an M8 and a convertible version of the 8 Series following on too. This is the basic price, with CO2 tax included.